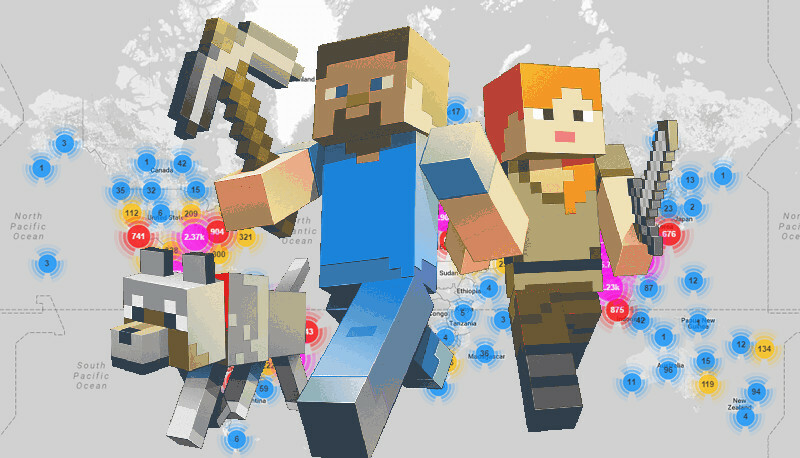 Last year, the Mirai botnet harnessed a legion of badly secured internet of things devices and turned them into a denial of service superweapon that brought down critical pieces of internet infrastructure (and even a country), and now its creators have entered guilty pleas to a Computer Fraud and Abuse Act federal case, and explained that they created the whole thing to knock down Minecraft servers that competed with their nascent Minecraft hosting business. The three co-creators are Paras Jha, Josiah White, and Dalton Norman, three young American men in their twenties. Jha was a Rutgers student who had also used DDoS attacks to knock Rutgers offline in a bid to sell the university DDoS mitigation tools. The identities of the Mirai creators were first published last January by Brian Krebs, a noted security journalist who was one of the first serious targets of Mirai. The men released the source-code for Mirai and it is now widely used by criminals who've continued to refine it and use it to launch devastating attacks. The men will be sentenced shortly.